A Shrewsbury College student has scooped first place at National barbering competition. 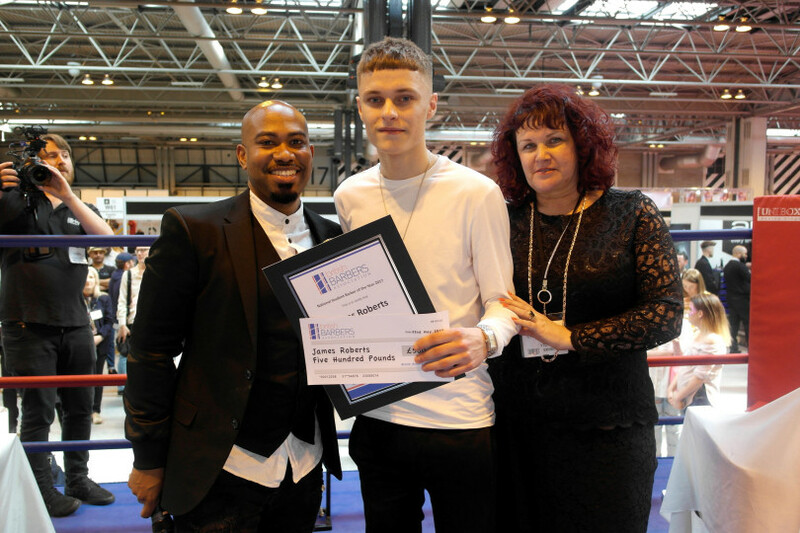 James Roberts, 16 from Bridgnorth got through to the finals of The British Barbers’ Association, National Student Barber of the Year 2017 last month, after stiff competition from other students across the UK. Following a photographic competition, which had over 380 entries from colleges and training providers throughout the UK, covering three categories: Hair Cut and Finish; Facial Hair Design; and Precision Hair Cut and Finish – the final competition was judged by top industry experts Gary Machin, Chris Foster and Erik Lander. James, who studies Level 2 Barbering at Shrewsbury College, was then revealed to win first place in the area of Hair Cut and Finish at the competition. The standard was extremely high this year and made it a hard choice for the judges who took several days to deliberate and decide who the three finalists for each category would be. The winners which includes James, received a trophy and the title of BBA National Student Barber of the Year 2017 but also took away prize money of £500 and a goody bag of Andis Clippers and BBA Male Grooming products.